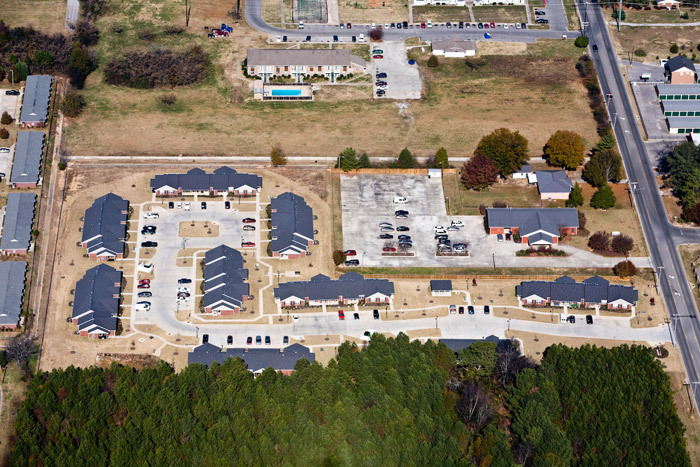 PWM performed civil engineering and surveying for this project during the design and construction of a new 10 acre Alabama Housing Finance Authority apartment complex in Decatur, AL. Our scopes performed include Site layout and master planning, site grading and drainage plans, roadways, design of stormwater detention facilities, site utility design, topographic mapping, and construction layout. This project required coordination with many legal entities, State HFA, City of Decatur Planning Department and Building Department. PWM provided ALTA surveys to the stringent AHFA standards for pre-construction and as-built conditions.